In a few days I will be shutting down this Fall 2010 course webpage. The solutions to the final exam are now posted (thanks to Prof. Bowman who typed them up). The room assignments for the Final Exam are now posted. As requested by students, we have now added old final exams as well as links to additional applied max/min and related rates problems to the Final Exam review materials. will hold extra office hours on Friday, Dec 10th from 8:30-9:30am in Math Tower 4-108, and on Monday, Dec 13th from 9-10am, 1-2pm and from 3:30-4:30pm in Math Tower 4-108. Joshua Bowman will hold extra office hours on Monday, Dec 13th from 2-3pm in Math Tower 3-114. Students are also encouraged to attend the office hours of their recitation instructors. Due to a special scheduled lecture, Jason Starr's office hour on Monday December 6th will be rescheduled from 1-2pm to 3:30-4:30pm. The office hour will meet in Math Tower 4-108. Tuesday office hour this week is rescheduled to Wednesday, November 24th, 10-11am in Math 4-108. The engineering honor society Tau Beta Pi will hold a review session for MAT 131 on Wednesday, November 17th, 5-7pm in Old Engineering Room 236B. The answers to all problems on Midterm 2 are now posted here. will have an extra office hour held at 7:30-8:30am in Math Tower 4-108. Some page numbers on the syllabus were incorrect. These page numbers have been corrected. The section numbers and dates have not changed. Review materials for Midterm 2 are now posted. Due to special scheduled lectures, Jason Starr's office hours will be changed in the two weeks of 10/11-10/15 and 10/18-10/22. Office hours will be on Monday 1-2pm in P-143 as usual, Wednesday 12:30-1:30pm in Math Tower 4-108, and Thursday 1-2pm in the MLC. All students who received below a C on Midterm 1 should strongly consider dropping-down to MAT 125 by the drop-down deadline of October 22nd. All such students are also strongly urged to meet with an instructor to discuss their performance. The answers to all problems on Midterm 1 are now posted here. The week of October 7th, the first midterm, Jason Starr will reschedule his MLC hours to Tuesday, 1-2pm. And he will reschedule his Tuesday office hour to Thursday, 4-5pm in Math 4-108. If you have last minute review questions, please bring them to the Thursday office hours. Review materials for Midterm 1 are now posted. All students who completed the diagnostic quiz receive full credit of 2% added to their total class points. The correct answers to all problems on the diagnostic quiz are now posted here. There were 2 mistakes on the exam. The correct solutions to Problems 7 and 9 did not appear among the possible solutions. All students who scored less than 5 correct answers should schedule an appointment with their instructor to discuss the exam. The description in the undergraduate bulletin: The differential calculus and integral calculus, emphasizing conceptual understanding, computations and applications, for students who have the necessary background from 12th-year high school mathematics. Differentiation of elementary algebraic, trigonometric, exponential, and logarithmic functions; graphing; modeling and maximization; the Riemann integral; and the fundamental theorem. May not be taken for credit in addition to MAT 125 or 141 or AMS 151.
received a score of 5 or better on the mathematics placement examination. See the document first year mathematics at Stony Brook for more information about the math placement exam and other calculus courses. Single Variable Calculus (Stony Brook Edition 4), by James Stewart available at the University Bookstore @ Stony Brook. This edition, essentially the same as Single Variable Calculus: Concepts and Contexts, 4th ed, comes with an access code for WebAssign, which we will be using this semester. You are free to use an older version of the textbook. 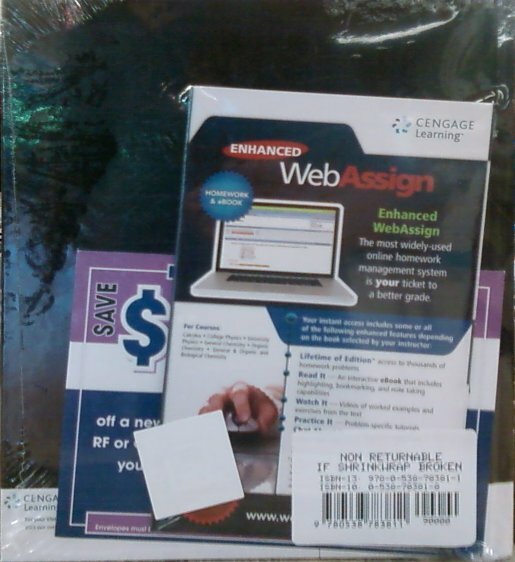 But then you will need to buy stand-alone access for WebAssign. You can get electronic access to the text together with WebAssign access at WebAssign. You can also get electronic access to individual chapters; and then you will still need to buy access to WebAssign. The relative significance of exams and problem sets in determining final grades is as follows. You are responsible for collecting any graded work by the end of the semester. After the end of the semester, the recitation instructor is no longer responsible for returning your graded work. If you have a question about the grade you received on a problem set or exam, you must contact the recitation instructor (not the grader or the lecturer). If you have a physical, psychological, medical, or learning disability that may impact your course work, please contact Disability Support Services (631) 632-6748 or http://studentaffairs.stonybrook.edu/dss/. They will determine with you what accommodations are necessary and appropriate. All information and documentation is confidential. Students who require assistance during emergency evacuation are encouraged to discuss their needs with their professors and Disability Support Services. For procedures and information go to the following website: http://www.sunysb.edu/facilities/ehs/fire/disabilities. Each student must pursue his or her academic goals honestly and be personally accountable for all submitted work. Representing another person's work as your own is always wrong. Faculty are required to report any suspected instance of academic dishonesty to the Academic Judiciary. For more comprehensive information on academic integrity, including categories of academic dishonesty, please refer to the academic judiciary website at http://www.stonybrook.edu/uaa/academicjudiciary/.